Now that I have a Blu-Ray player I was confronted with the problem of re-buying all of my old DVD’s so that I could have them in Blu-Ray. Well, I shouldn’t say that. I NEVER plan on upgrading all 200+ of my DVD’s to Blu-Ray. It just doesn’t make sense. Blu-Ray’s are still pretty expensive, so I’ll only get Blu-Ray’s on movies I REALLY want swapped. It was awesome! 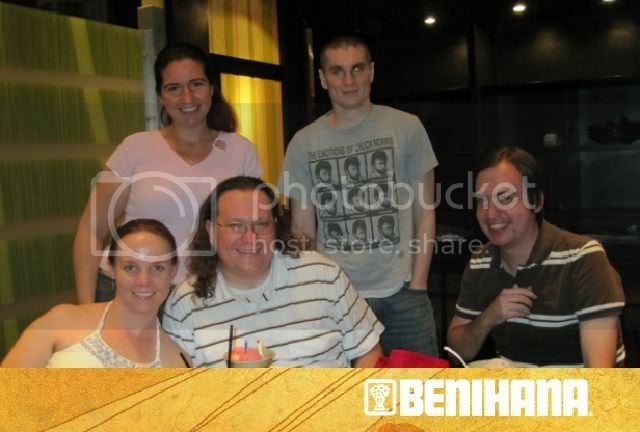 Benihana was very yummy (though maybe not as good as Kobe) and Pat O’Briens at City Walk was a good time! But most of all the people were awesome. Thanks to everyone who came out or texted me or hit me up on Facebook.